When someone pleased you whatever by treat, bless, support, help or else you may want to say thanks or show your thoughtfulness of gratitude that your inner side determine. Being thankful is great and appreciate others for anything is just a part of your humble gratitude. But sometimes it get tough to choose right words and put our thoughts on a thank you card. So, here we come with lots of examples of Thank You Card Messages and phrases to help you getting started with writing a great thank you note or card message. These messages are just to inspire or give you support to write your own feelings what you feel for their hospitality or anything which made you pleased. 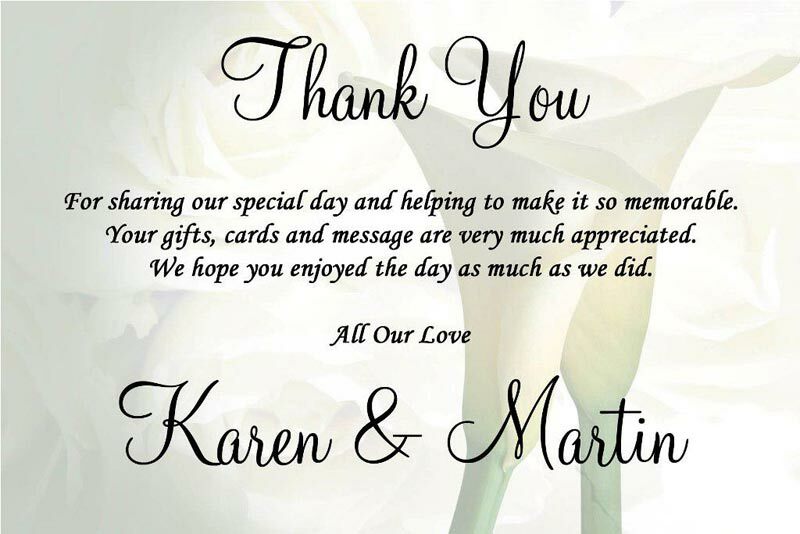 You may edit or rearrange these thank you card messages to your liking so that it could fits your thoughts and carry the perfect gesture to the receiver. Thanks for all your great help. I simply couldn’t have done it without you!! Please let me know how I can ever return the favor. It doesn’t take a whole lot sometimes to make a major statement. Your small act of kindness was enough to let me know just how amazing you are as a person and just how fortunate I am to have you in my life. Thanks! Just wanting to send you a big thank you for all the good work you so kindly volunteered. Please let me know if there is any way I can return the favor. Above and beyond, more and more everyday That’s what you do for so many, and for that we “Thank You” today! Thank you for taking the time to share all of that great information with me. Your support, encouragement and advice have been extremely helpful. Please accept this card as a big thank you from the bottom of my heart. It was really kind of you to help me with —–. It really means a lot. It’s the wonderful things that you that help others to be reminded of how blessings can flow through those that God uses. Thank you so much! I appreciate all the time you were able to give to help me with —–. It really means a lot!! You’re the best. I don’t know how you knew what I wanted. You blew me away with your thoughtfulness and generosity. 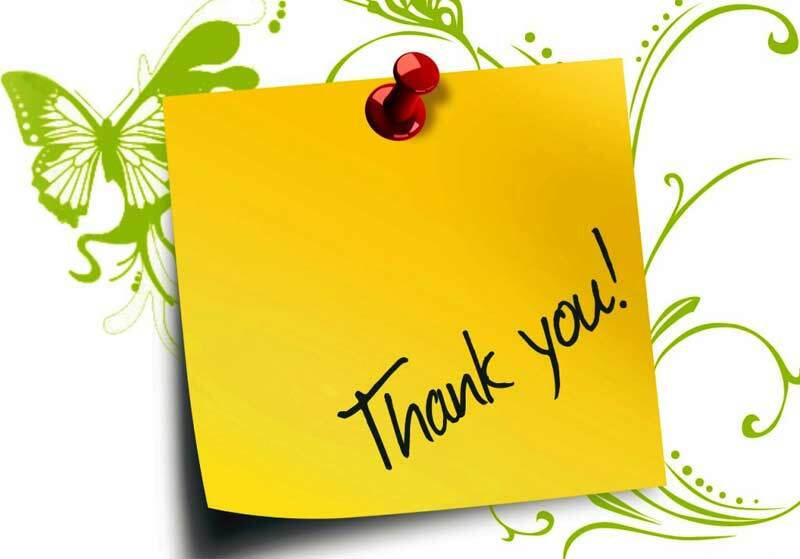 Just wanting to let you know that all the help you offered was invaluable. We really couldn’t have done it without you. Because of your generosity and support, our fundraising event was a huge success! Thank you so much for your donation. I really owe you one for all the help you so kindly volunteered. You’re a legend! You are so blessed because you constantly do your best to help others. I am so thankful for you! How did you know what I didn’t even know I wanted? Thank you! Giving thanks for someone can be summed up in, “May God forever bless you”! Thank you! I don’t know anything else to say except thank you. Thank you for a job well done!! You made the whole thing look easy! I know this is a little late, but the feeling of grateful is still lingering in my heart. Thanks! Thanks for the time and effort you gave to —–. You’re a superstar! You made me so glad today. Hope you like this special arrangement that’s meant to say a great big, “THANK YOU” to you! Nowadays, it seems easier to send a thank you email, message or make a phone call but handwritten thank you card messages will express more and meaningful way to show gratitude. Hope you get it well and it’s our deep expectation that this compilation of thank you card messages will give you right ideas for proper appreciation.